You will find as you start to really watch your dog searching, that the size of the scent cone will vary based on the type of hide. Air Flow is the largest driver of Scent Cone size. For instance, a hide in high wind will travel much farther than a hide in relatively still air. 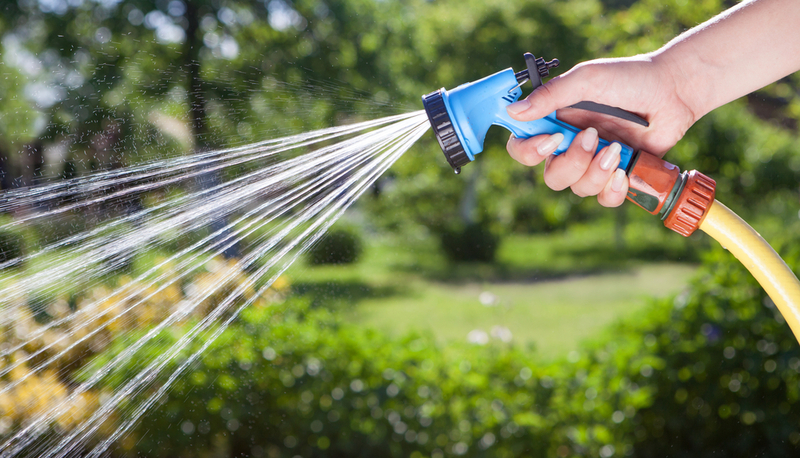 Picture a hose with a sprayer on the end. If you spray a light mist, you will find that the water fans out and doesn’t go very far. However, if you squeeze the sprayer all the way, you end up with a narrow jet of water that will go very, very far! This is the same thing with wind and scent. Hides placed in high wind situations tend to develop narrow scent cones that travel quite a distance. Wind speed affects Scent Cone size in much the way that pressure affect water through a hose. What about the TYPE of hide? How does it affect the size of the scent cone? Now, let’s talk about Air Flow with respect to the TYPE of hide. The size of the Scent Cone will actually tell us a lot about the hide in a blind situation. Inaccessible Due to Elevation Hides (e.g., High Hides), will travel farther than low hides. This is just Geometry. So as far as Inaccessible hides go, the largest scent cones are from Inaccessible Due to Elevation, followed by Inaccessible Due to Reach and finally Inaccessible Due to Containment. Here is a video showing a search similar to what one of the Interiors could be like in NW2. In this case, there are two hides. The search area has two natural sections, although the search is one “official” area. There is a hide on the wheel of a chair to the left (Accessible). To the right and around a small corner, there is a hide in a filing cabinet (Inaccessible Due to Containment). The video has been edited with notes so that you understand my handling decisions. As you can see, there is convergence here! It’s not dramatic although it’s plenty and very typical of what you might see in either a NW2 or a NW3. As Brava is working the section on the right, the hide in the section on the left gets her attention and pulls her. This actually gives me vey valuable information! She had already given me a Change of Behavior in the vicinity of the filing cabinet. The pull into the other area tells me (1) there are at least 2 hides likely in this area and (2) the hides are in opposing “sections”. Both pieces of information are critical! What I want to point out is how FAR the scent cone from the Accessible hide travels! That size of the scent cone is the reason why there is convergence here. Proximity isn’t a major driver of convergence! What about Inaccessible Due to Elevation? What about Inaccessible Due to Elevation? Elevated hide (High Hides) travel FAR AND WIDE…. Here’s a video from the trial where Judd earned his Summit Title. I’d like to show you just how far that odor traveled! Just this past weekend, I actually had a chance to talk to the judge who judged this search. He said that only about 3 teams found the high hide and that most teams got caught up in the blown odor in the bleachers! Odor was EVERYWHERE! If you are interested in learning more about Inaccessible Hides and timing, please take a look at my current class NW243: Nosework Challenges Series 4 (Inaccessible Hides). Incredible, that how your dog could find the high hide. Most of odors at NACSW have 6 times heavier molecules than air and very small vapor pressure as my knowledge. So, I understand inaccessible hides in containment such as cabinet won’t release, won’t release so much molecules like pin hole of balloon. I fully agree that air is carrier of those heavy odors and temperature at hide location will effect tremendously release of odor molecules due to small vapor pressure. Thus high hide makes long travel when there is a little bit wind exist. Smoke can tell me only air movement, not odor movement. But your video shows more than what I can think about. Again, it is so amazing. Thank you! Yes, only the dog can truly tell us what odor does… Watching Nosework is like peeking through a portal into another dimension. Sometimes the sheer beauty of it moves me to near tears. Working with this dog has been the honor of a lifetime, without a doubt.